Your garden is the pride of your home, and it can be quite hard to take care of it due to the increased speed in which we live our daily lives. 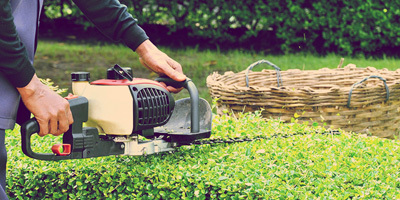 Thankfully, Andrew Roy Lawn Mowing is here to help you maintain your beautiful garden. Whether it’s a boutique garden bed, or an entire backyard, we will treat it as our own, and make sure it looks good all the time. We are also on hand to give you a fantastic, affordable quote for our maintenance services. Our garden maintenance team will travel to anywhere in Melbourne, providing the same great standards for garden care that has made us well known. We have helped improve the health of gardens all across the city for over two decades. Our team hold full certification and registration. They will also work to all OH&S guidelines, providing you with peace of mind. We also use the latest, state of the art tools to maintain your garden, ensuring a perfect job everytime. To obtain your free, no obligation quote, please call us on 0418 399 793. Let us take the stress out of your life by ensuring that your garden looks as good as it can possibly be.